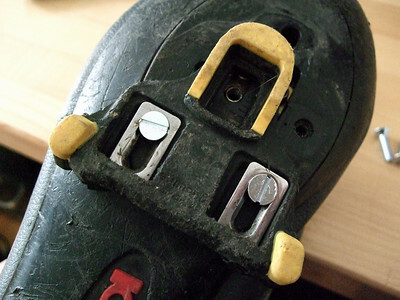 This page explains how to move 3-bolt Look-style road cleats (such as Shimano SPD-SL) further back than one's cycling shoes would normally allow. It works well on shoes with traditional hard plastic soles, but will probably not work on carbon fiber soles. DISCLAIMER: I am not a doctor or podiatrist. 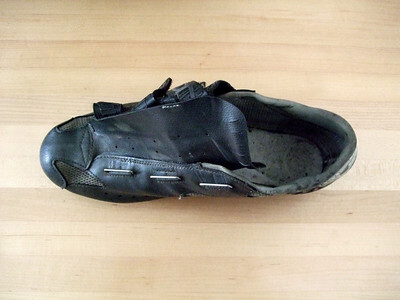 I am simply a long-distance cyclist whose toes have felt a lot better in the year since I moved my cleats back. Please consult your doctor, podiatrist, or coach prior to trying this yourself. Long-distance cyclists place a lot of stress on their feet. Overuse can cause metatarsalgia, intermetatarsal neuromas, tarsal tunnel syndrome, and other conditions that may result in numbness, tingling, or burning sensations in the toes or the ball of the foot. Cyclists also risk injury to the tibial and Achilles tendons. Orthotic inserts alleviate the problem by decreasing pressure on the metatarsus and strain on the posterior tibial tendon, but some experienced riders—notably epic ultra-cyclist Lon Haldeman—also suggest moving the cleats back towards the heel by half an inch or more. Doing so lightens pressure on the metatarsus and decreases the foot's lever arm around the ankle joint, reducing workload on the calves and stress on the Achilles tendon. 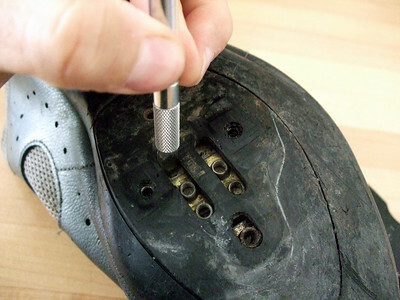 Few commercially available shoes have mid-foot cleat holes, and those that do are expensive. When I searched for guidance on how to convert normal road shoes, all I found was a mention of tee nuts by an alumnus of Lon Haldeman's PAC Tours. 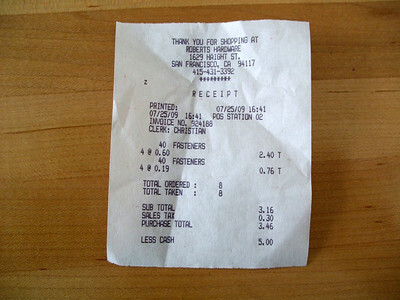 This page is intended to remedy that situation. a power drill with progressively larger drill bits (e.g., 1/16" - 3/32" - 1/8"). 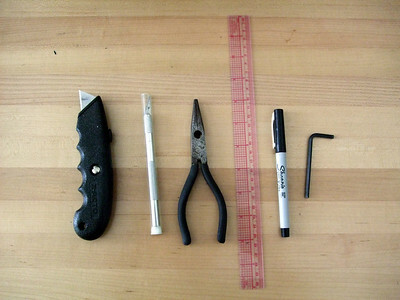 You may also need a sharp blade (e.g., an X-Acto knife) and some needle-nose pliers. 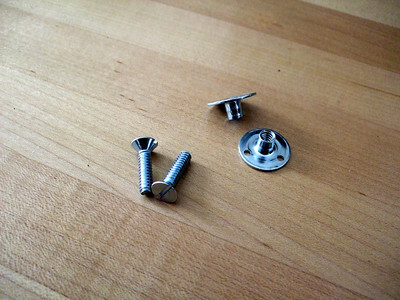 stainless steel flat head (countersunk) machine screws (e.g., 10-24 x 3/4"). The number of tee nuts and screws will depend on your bolt pattern, but you will probably need two or three of each per shoe. You may have to use screws of more than one length to accommodate variations in sole thickness in different parts of the shoe. It is important that the screws be flat/countersunk so that they fit snugly into the cleat and not protrude beyond the bottom of the cleat. Make sure the shoes are clean. 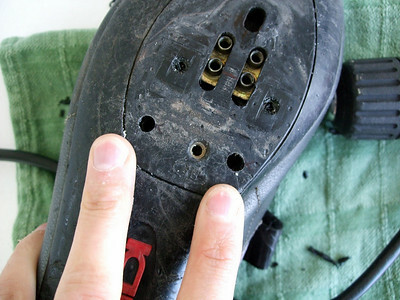 Remove insoles and undo all straps and laces so that the shoes are easier to manipulate. 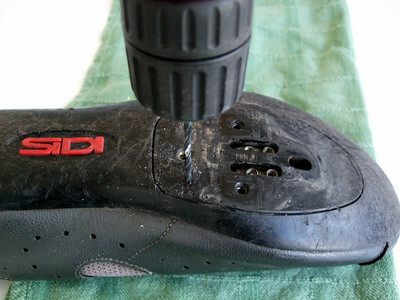 Draw an outline around your existing cleats, then remove them. Mark lines parallel to the shoe's minor axis at a chosen distance behind your current cleat bolt positions. 15-25mm is probably a good range. I only needed to mark one line, because I was able to reuse one of the SPD attachment points for the cleat's front bolt. Mark bolt locations along the chosen line(s) based on the cleat's inter-bolt distance and where you want the cleat to sit. 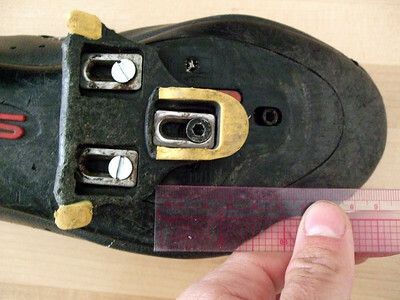 Note that if you move the cleat too far to the outside of the shoe, the inside of the shoe will rub against the crank arm. 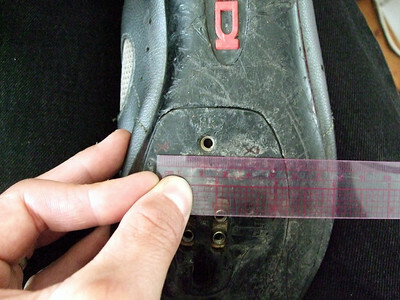 Write down the final positions (e.g., relative to existing holes) for use on the other shoe. 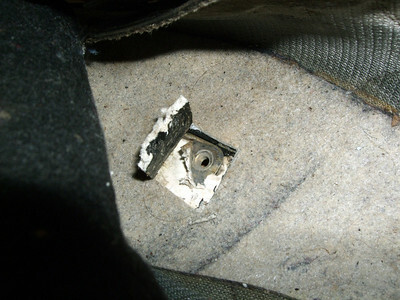 If necessary, use a sharp blade and pliers to remove metal SPD attachment plates that may interfere with the drill. In my case, this turned out to be unnecessary, and I actually used one of the SPD attachment points for the front bolt of my SPD-SL cleats. Drill holes in the marked locations. For precision, start with a small drill bit and work up to the diameter of the tee nut. 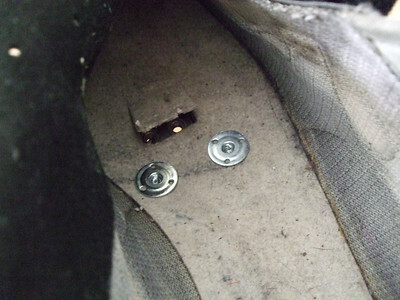 Insert the tee nuts through the shoe's sole. Mount the cleat. Make sure that the screw heads do not protrude beyond the plane of the cleat: if they do, you need screws with smaller heads. In my case, I used tee nuts with countersunk screws for the two rear mounting holes, and a pre-existing SPD mount with an Allen bolt for the front one. Check your work: compare to the outline of the original cleat. Moving the cleats back decreases the workload on the calves and increases the workload on the upper leg. It takes a few rides for the muscles to adapt to this different workload. Sprinting out of the saddle feels clumsy the first few times. You may want to move the saddle forward a bit to compensate for the foot's move forward over the pedal axle, but of course that will affect your reach to the handlebars as well. Beware toe-clip overlap: depending on the bike's geometry, the toe of the foot may now interfere with the front wheel when the crank arm is between the 12 o'clock and 3 o'clock positions.